In today’s business section of a publication for property lawyers Melbourne, an article headlined as “Dead Zones” mentioned 5 retail dead zones. 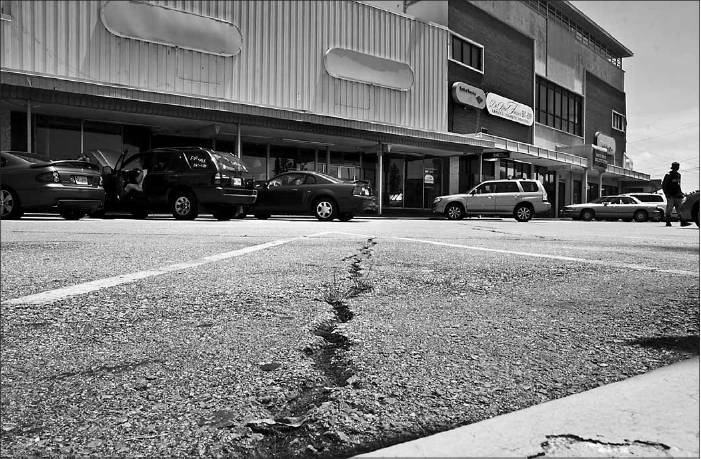 Midtown Shopping Center on the northeast corner of Granby Street and Little Creek Road was one of them. For years, the Greater Wards Corner Partnership has complained about the poor management of this shopping center. Any commercial real estate agent can tell you that the design of this center is obsolete. It is very hard to lease spaces that are extremely long and narrow. Retailers today want frontage for visability to the street or parking lot. We can only hope Ms. Joan Dalis, the owner of the Midtown Shopping Center, will sign on to the vision of the Greater Wards Corner Comprehensive Plan for the northeast corner. Notable Uncle Louie’s Restaurant served as a longtime place of civic activity. BEFORE Southern Shopping Center was hip in the 1950s, and prior to sometimes trendy Janaf Shopping Center, there was the Midtown Shopping Cent er. At the intersection of Granby Street and East Little Creek Road, the retail hub was a pivotal place of Norfolk business during the 1940s. “We used to be the Times Square of the South,” said 78-year-old Nellie Francis, a 33-year Wards Corner resident and manager of the center’s Sarah’s Hallmark, one of a handful of stores left. The center was eclipse d by other retail centers such as Southern Shopping Center and The Gallery at Military Circle, previously Military Circle Mall. Midtown Shopping Center has struggled to attract tenants. It has several vacancies in contrast to the more vibrant shopping center across the street. For 61 years, Midtown Development Corp. has owned the Midtown Shopping Center. The 4.6-acre property was assessed at $7.1 million last year, according to city records. One of the center’s most popular tenants was Uncle Louie’s Restaurant. Famous for its savory Reuben sandwiches and seasoned egg salads, Uncle Louie’s was the center of civic, leisure and business activities for 21 years. The eatery gave birth to the community group Wards Corner Partnership and hosted many political shindigs and other parties. 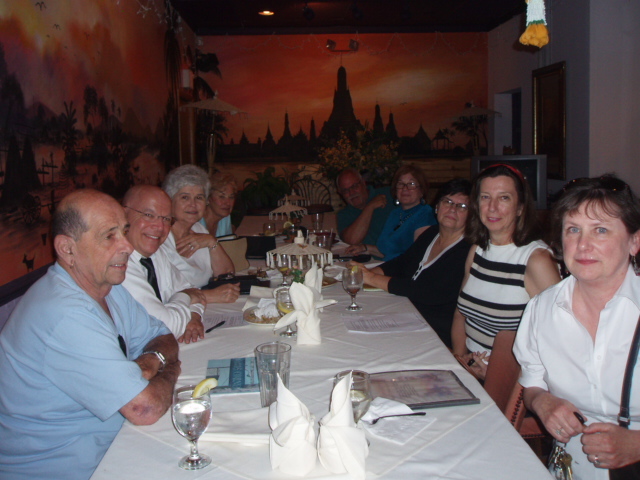 The restaurant closed abruptly in 2005. Three years later, that space and several others in the shopping center remain empty. Larry Hecht, the center’s retail leasing agent at Harvey Lindsay Commercial Real Estate in Norfolk, said that although the building is older and requires work and a substantial financial investment, he has received calls from prospective tenants. Hecht said he is waiting for the right people to come along. As a Norfolk native, he’s hoping for a turnaround. Last night at the monthly meeting of the Greater Wards Corner Partnership, the membership made it clear their number one priority was to set in motion a plan to elect to City Council in 2010 an advocate for the Greater Wards Corner Partnership Area. Other goals agreed to be achieved in 2008-2009 were to assure that Depaul Hospital maintains an acceptable presence in its present location, the second phase of Norfolk’s Light Rail includes a rail station for Wards Corner, after-school children programs be expanded in our schools and religious institutions and the creation of a Community Development Corporation to work with the Norfolk Redevelopment and Housing Authority in applying for grants for the Denby Park, Monticello Village, Oakdale Farm Neighborhoods. A group from the Wards Corner Partnership attended the Ocean View Taskforce meeting this morning at the new Pretlow Library at the invitation of Councilman Randy Wright. When prompted about light rail coming to Wards Corner, Wright described it as a dream. It is not on any drawing boards at this time, as the preferred route would go past ODU to the Naval Base. The blog Wards Corner Now overhyped the meeting. No announcement on extensions this morning. 1. HRT, beginning at this afternoon’s Commission meeting, will start a “visioning process” on where LRT should go. 3. Eventually he’d like to see a line from Hampton Boulevard to Ocean View via Wards Corner. I should have slept in. The Norfolk Police Department is pleased to announce the creation of a wanted person’s website. The link below will direct you to the site. The site is updated daily and can be accessed from any web enabled computer within or outside the City’s domain. VCIN enabled computers cannot access this site. Please share with those who are not on email and persons you have contact with. The website informs concern citizens on how to report if someone is wanted and who to notify. 201 E. Little Creek Road (next to Kroger) 7:00 p.m.
We would like to encourage everyone to come to this meeting to hear how you can be part of the effort to take back our streets. It’s time to stop talking about it and time to start doing something about it. 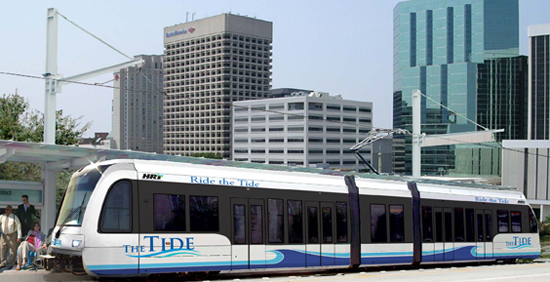 Task Force invited to hear light rail presentation Thursday at 8 a.m. Create a Community Development Corporation (CDC) in partnership with Norfolk Redevelopment and Housing Authority. Ensure the continuation of medical services at De Paul Hospital. Assist in partnering with schools, churches, businesses and civic leagues to improve programs for our children. 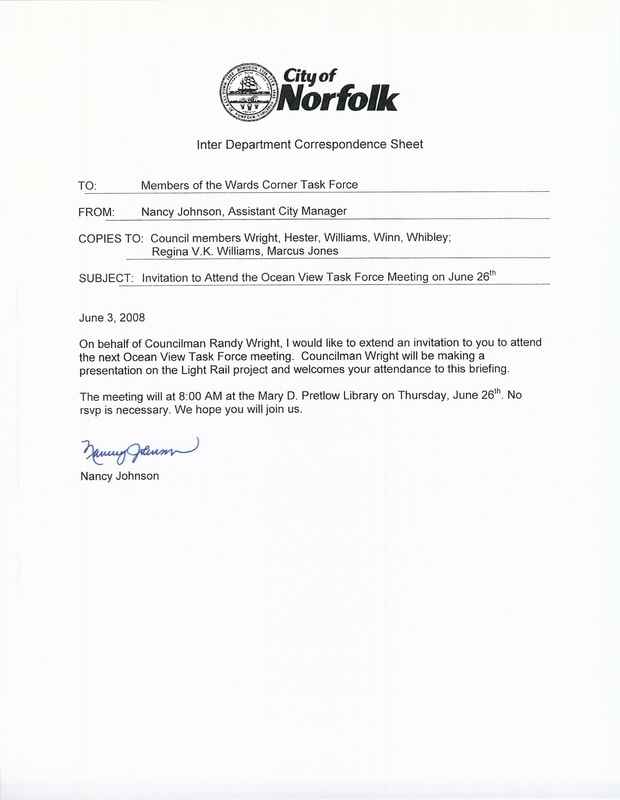 The Partnership will meet this Thursday, 7:00 p.m. at the Norfolk Workforce Development Center (201 E. Little Creek Road, next to Kroger) to discuss and vote on these and any additional goals that may be brought from the membership. You are currently browsing the Wards Corner Now - Wards Corner, Norfolk, Virginia blog archives for June, 2008.